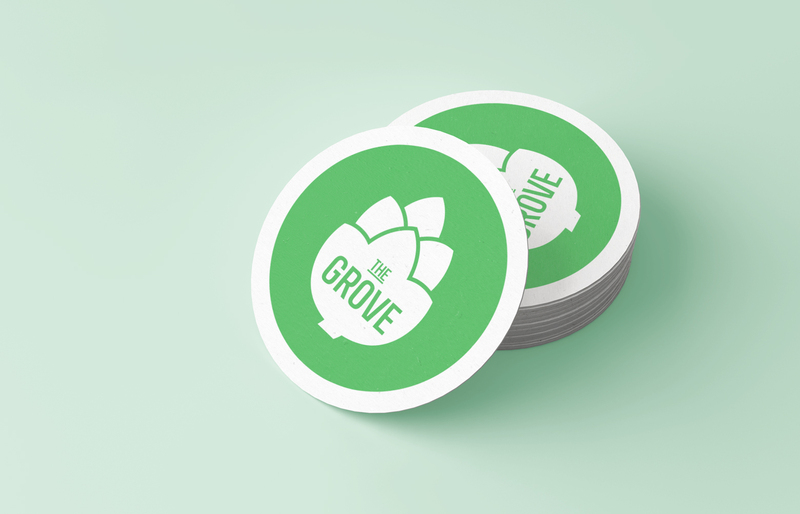 Branding and design for Huddersfield based The Grove pub. Patrons travel from far and wide to sample The Grove’s vast range of ales, spirits and more. We were commissioned to create a new brand with a clean modern feel that would identify and represent The Grove as a pub for great beer, for everyone. 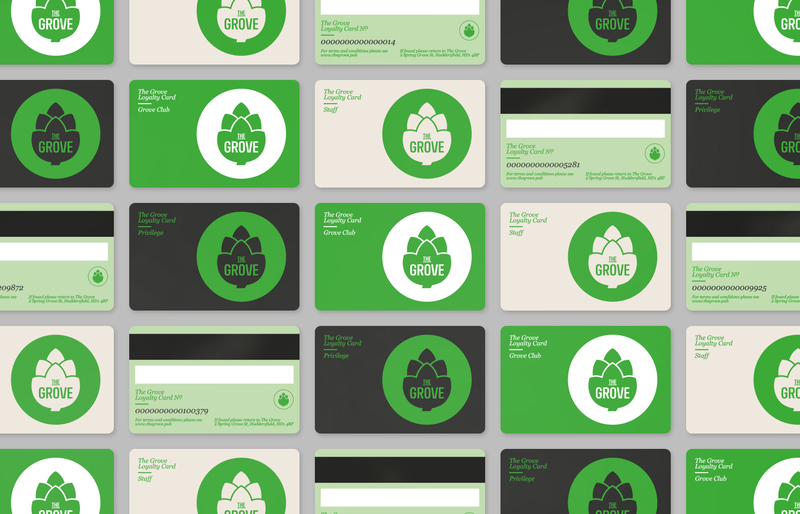 The branding focuses on what The Grove is commonly known for: ale. The use of the hop-bud provides a link to an ingredient from the brewing process as well as playing on the term hop-groves. 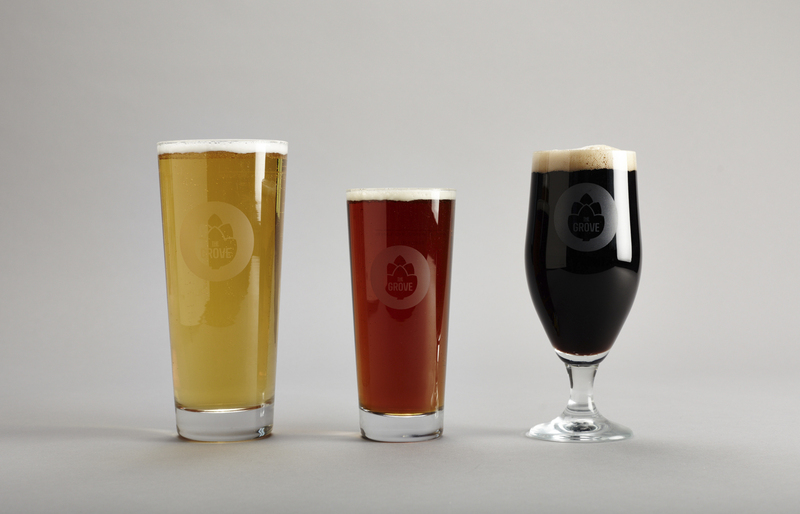 The simple shape of the hop-bud provides a strong, recognisable mark that can be easily replicated by The Grove, to allow them to achieve a level of consistency and awareness for their brand.